Hi darlings! So, this isn’t one of my usual sweet treat posts, but I promise it’ll brighten up your next meal! 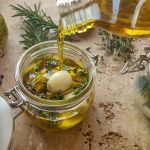 How to make perfect homemade infused olive oil couldn’t be easier! 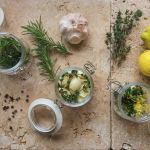 Stop wasting your money on the store bought infused oils darlings, and listen up, because here are 3 ways to infuse olive oil at home. There really isn’t a recipe for making homemade infused oil. All you need is to let your imagination go wild! You can add dried chili pepper, if you like things on the spicy side, fresh sage leaves, or even basil! It’s entirely up to you. 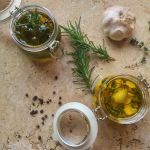 Fill a glass jar with a few sprigs of rosemary, 3 – 5 whole black peppers, and cover with olive oil. Store away from direct sunlight, and wait a couple of days, before first use. Wash and dry 4 thyme sprigs, then place in a glass jar. Peel 10 garlic cloves, place in the jar. Cover with olive oil, and wait 5 days to a week, before your first use. Grate the zest of 1 lemon, and place in a glass jar. 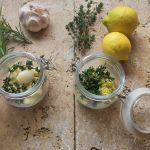 Next, add 5 -7 fresh thyme sprigs to the jar, along with 1 – 2 sliced garlic cloves, and cover with olive oil. Finally, make sure everything’s submerged under the oil, to prevent mold, and wait around 5 days before first use. 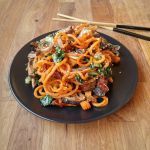 Try adding a drizzle of my garlic infused olive oil to these Sweet Potato Noodles. It’ll really add an extra kick to the dish. So, there you have it, 3 ways to infuse olive oil, what are you waiting for? They literally take 5 minutes to make. 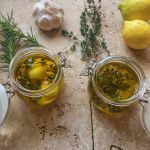 I’ve never tried infusing olive oil at home but I LOVE the idea! I usually add spices to olive oil when we’re dipping bread in but I feel like the flavor would be so much better if I added it ahead of time! Great ideas! 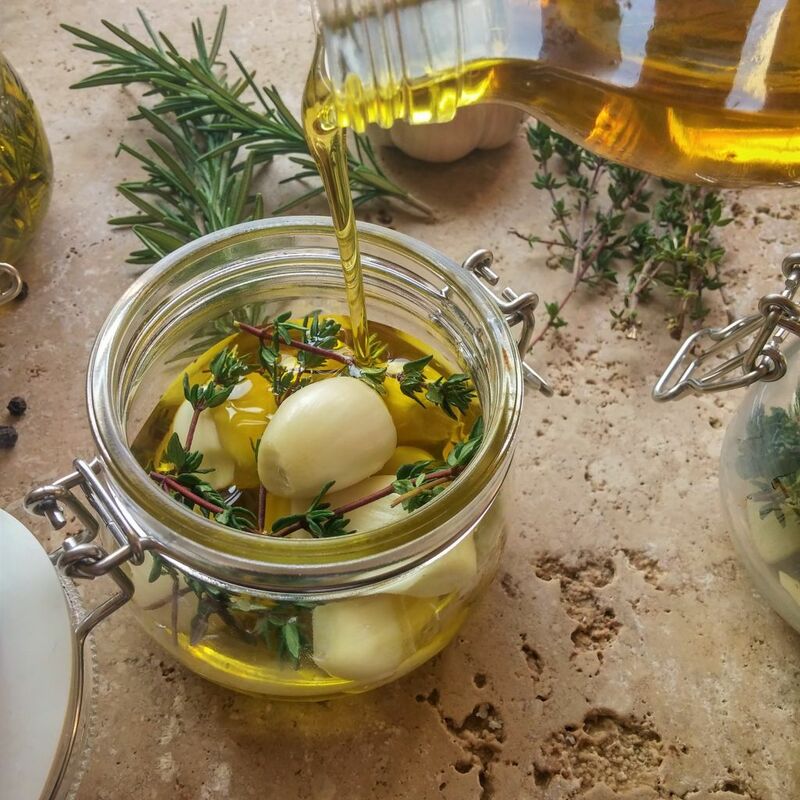 A quality flavored olive oil is so essential for any pantry! I was just thinking about infusing my own oil the other day. This has inspired me to do it, lovely idea.